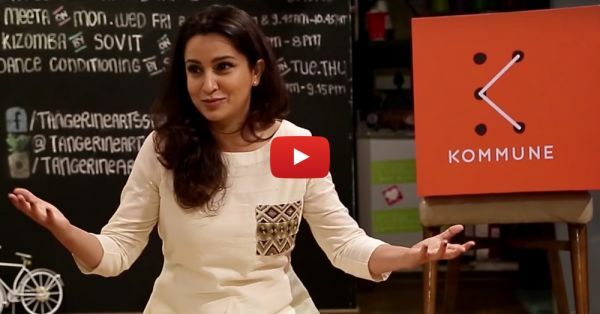 You Won't ​*Believe*​ Tisca Chopra's "Casting Couch" Story!! Tisca Chopra talks about an actor’s life and something that a lot of people are often curious about- THE CASTING COUCH! Well, she describes her experience and how she escaped it in this video by Kommune India. It happened soon her debut film flopped and she got a call from from a very famous director, whom she refers to as “reptile”. They were shooting outdoors and one day the director caller her to his room to “discuss to script”, when she opened the door he was sitting there in a “red satin lungi” and then… Well, you’ll have to watch Tisca narrate her rib-tickling story to know what happened next! Also watch: This Girl’s Story About Her *First Kiss* Is EPIC!